“Wanted: men for hazardous journey. Small wages, bitter cold, long months of complete darkness, constant danger, safe return doubtful. Honor and recognition in case of success." In my youth, I wanted nothing more than to go to the uttermost parts of the world and have adventures with Jesus. The suffering part for me seemed somewhat glamorous. That was because suffering was not a part of my everyday world… yet. I once listened to a woman as she recounted how Jesus had been with her and had given her strength to endure. Her husband and sons had been killed. Her daughter had been raped. Instead of blaming and hating God, she could only thank him for how he was by her side and with her daughter as they experienced these horrific events. His very person was with them as they suffered. In their intense pain and loss, there was no shrinking back, no looking for hope or answers elsewhere, no blaming God, just accepting the cost of following their Savior. My life has been forever altered by being with men and women who are willing to go without the comforts of this world, who leave the dead to bury the dead, and who look for hope in Jesus no matter what suffering they encounter. Witnessing and experiencing the reality of suffering, I understand more fully that obeying God in the midst of pain requires a faith of great depth. Luke 9 is no longer something I just study. I have watched uneducated men and women live out a faith that I had only read about. Despite my years of education and experience, being with people who obey God, no matter what the cost, has challenged me to examine my willingness to do the same. Jesus’s grace, forgiveness, and mercy are free to us all, but following him may cost us everything. May we not shrink back. Have there been seasons of suffering in your life? Reflect on those times, even if brief. How did they affect your relationship with Jesus? How does the biblical assurance of suffering as a follower of Jesus impact how you live, witness, or reach out to others? Spend some time reflecting on this with Jesus. What might he be inviting you into? Norris Williams and his wife Laurie have been missionaries since 1983 and served with CRM since 1997. They have four adult children and six grandchildren. Norris serves and mentors leaders, especially those focused on starting Disciple Making Movements in the Middle East and around the world. 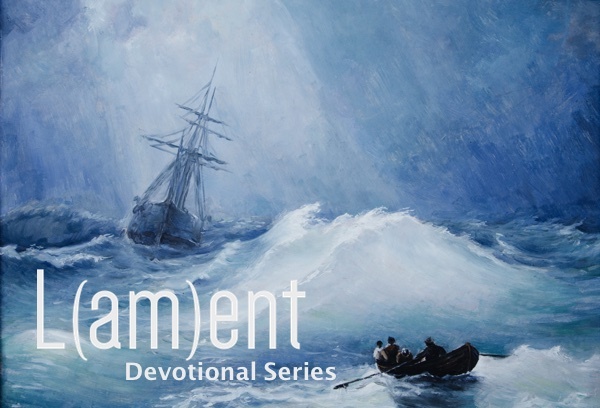 This piece was originally published in CRM’s 2012 Lent Devotional. Previous Post: My Beloved: Identity in the Ashes Next Post: God, Where Are You?